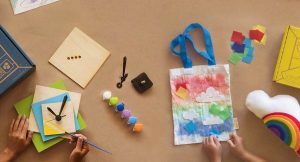 Home » All subscription box news » Subscription Box Deals » Birchbox: Free Extra Birchbox with New Subscriptions or 10% Off! 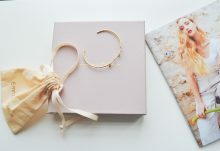 Birchbox: Free Extra Birchbox with New Subscriptions or 10% Off! 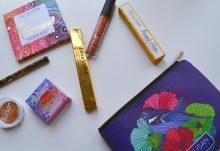 Birchbox has just launched a new FREE box offer! Subscribe to Birchbox today and get a FREE EXTRA Birchbox with new subscriptions. Just use Birchbox coupon code TWOFORONE at checkout to get your free Birchbox. As a Birchbox subscriber, you’ll receive a personalized monthly subscription box featuring 5 beauty and lifestyle samples, selected to match your profile. Birchbox subscriptions start at $10 per month. 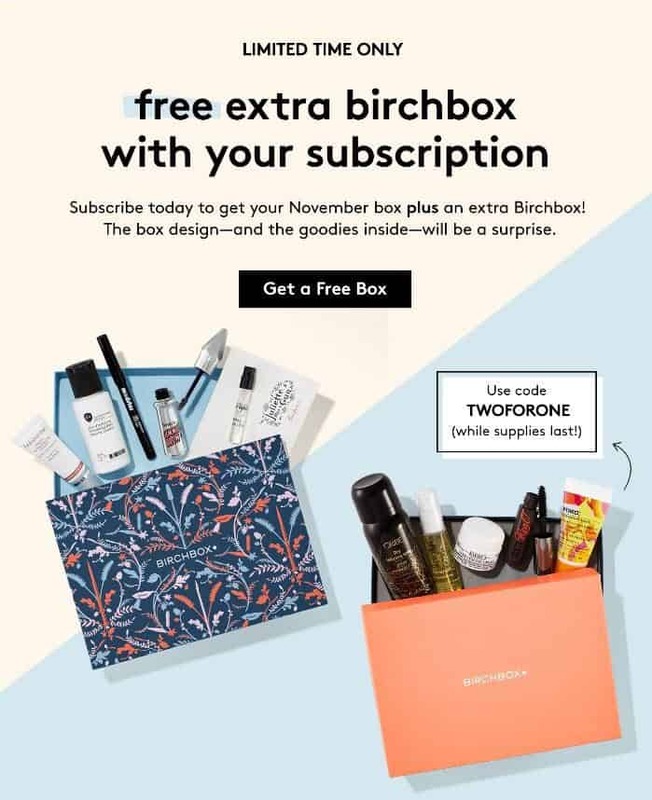 With this free box offer, you’ll get a FREE extra Birchbox with your November box. Hurry, this free box offer expires November 11, 2016, or while supplies last. Subscribe to Birchbox today and use code TWOFORONE to claim your free extra Birchbox with new subscriptions. Want a discount instead? New customers can use coupon code HELLO at checkout to save 10% off your first Birchbox purchase of $30 or more. This discount is valid for subscriptions or anything else in the Birchbox shop. Free surprise extra Birchbox available with purchase of a Birchbox rebillable subscription. To redeem, enter code TWOFORONE in Promo Code field at checkout. Your free extra Birchbox will ship with your November Birchbox. Valid for first-time subscribers only; offer cannot be combined with other promo codes. Offer valid through 11/11/2016 or while supplies last.